His Eminence Archbishop Stylianos (Primate of the Greek Orthodox Church in Australia) and His Grace Auxiliary Bishop Seraphim of Appolonias welcome His Eminence Metropolitan Nicholas at the Archdiocese headquarters in Sydney, Australia. 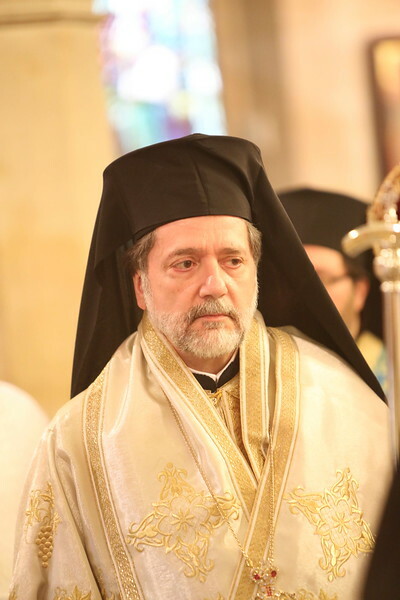 His Eminence Metropolitan Nicholas is representing His All Holiness Ecumenical Patriarch +BARTHOLOMEW and the Ecumenical Patriarchate at the 11th Clergy-Laity Congress of the Greek Orthodox Archdiocese of Australia held in Sydney on January 20-23, 2013. Metropolitan Nicholas will address the Congress on behalf of the Ecumenical Patriarch and read his message to the Australian assembly.